EDMONTON - The Alberta government — squeezed by falling oil revenues and a growing population — has delivered a budget that holds the line on day-to-day spending but borrows billions, a drastic change from previous years. From a surplus of $1.6 billion in 2008 to an anticipated $2 billion deficit on revenues in 2013, Alberta's budget numbers look grim. Here's a look at the slide Alberta government has taken into the red over the years. Text version for mobile users below. Alberta's last forecasted surplus budget. Total spending is up 10 per cent to a record $37 billion. Surplus of $1.6 billion. Health premiums, which have generated $1 billion annually, are eliminated to save families $1,056 annually. Alberta Employment Tax Credit increases 10 per cent to save a middle-income family with two kids $316 a year. There's money to hire 300 more police officers and create 14,000 child-care spaces. Good times don't last as the world economy takes a beating. By the third-quarter update, the province is on track for a $1-billion deficit — the first red ink in 15 years. Evans blames $3 billion in investment losses in the Heritage Savings Trust Fund, one of Alberta's rainy-day accounts. Budget forecasts a $4.7-billion deficit, the largest in Alberta history. Program spending is up 3.7 per cent, but resource revenue projections are cut in half. There are tax increases for alcohol and tobacco, as well as hikes in education property taxes. Annual coverage of $200 for chiropractic services is eliminated. Deficit again forecast to reach $4.7 billion. Spending on health is up 5.6 per cent. Spending on education is up 4.6 per cent. There is a plan to spend $20 billion over three years on schools, roads and hospitals. The government holds the line on taxes. There is turmoil in the weeks leading up to the budget. Stelmach announces his plan to step down. There are reports his hand was forced by fiscal hard-liners in his Tory party, including Finance Minister Morton, who are unhappy with the string of deficits. 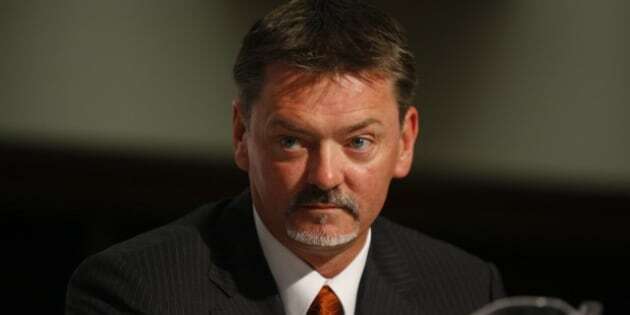 Morton promptly resigns to run as Stelmach's replacement. Newly named Finance Minister Snelgrove brings down a budget with a deficit of $3.4 billion. Spending is predicted to be $33.9 billion, up 2.2 per cent. Fees go up for car registration, incorporating a business, searching a land title and reserving a camping spot. Redford's first budget is tabled right before a provincial election. It predicts an $886-million deficit, a balanced budget the following year and a $5.2-billion surplus in 2014-15. There are no new taxes, tax increases or cuts to the public service. Social assistance payments increase by an average of five per cent. There's money for 90 new RCMP officers and 55 new sheriffs. After the Tories are re-elected, talk turns to tough times ahead. Redford coins the term "bitumen bubble" to refer to a glut of oil in the U.S. that is driving down the price of oilsands crude. By the third-quarter update, Alberta is forecasting a deficit of between $3.5 billion and $4 billion. The budget comes at a time when the province is feeling the squeeze from falling oil revenues and a growing population. It holds the line on day-to-day spending but borrows $4.3 billion to build roads, hospitals and schools. Even though the government is not increasing its overall spending on operations, it anticipates a $2-billion deficit on revenues of $38.6 billion. The shortfall, coupled with borrowing, means $6.3 billion in red ink. Horner says the $4.3 billion should not be seen as part of the deficit, because the new infrastructure it is paying for is an asset. There are no new or increased taxes, but no extra money for doctors, teachers, nurses or other government workers now in contract talks either.